Jan.13 (NBD) -- Falling on the eighth day of La month (the twelfth lunar month), the Laba Festival is seen as a prelude for the coming Spring Festival and traditionally an occasion for people to give sacrifices to their ancestors and to pray for a good harvest and good luck for the family. People of Chengdu, the capital of southwest China's Sichuan Province, celebrated this day in their own way. 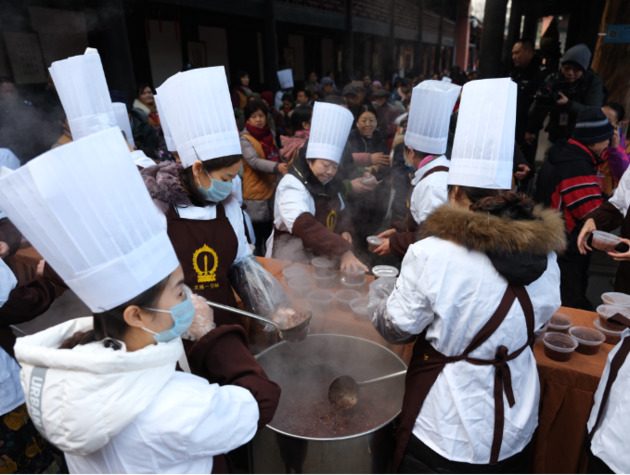 Each year, people coming from afar garther at Wenshu Monastery, a prestigious buddhist temple in the city, and line up hours for a bowl of free porridge on this special day. Despite cold weather, the joy and blessings are worth the waiting. Legend has it that Buddha attained enlightenment on this day, not long after a village girl offered him porridge when he was starving himself in pursuit of wisdom. 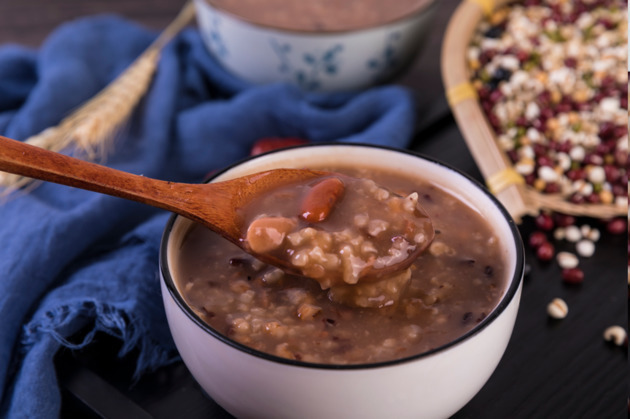 The porridge is also said to encourage young people to work hard and value their labor, according to another version of the origin of the holiday. This is the 12th year for the temple to offer free porridge in order to honor the Festival and carry on the tradition. "We have been preparing for the Festival for over a month and about 300-400 volunteers have offered help on this special day, " said a worker at the Monastery to NBD. 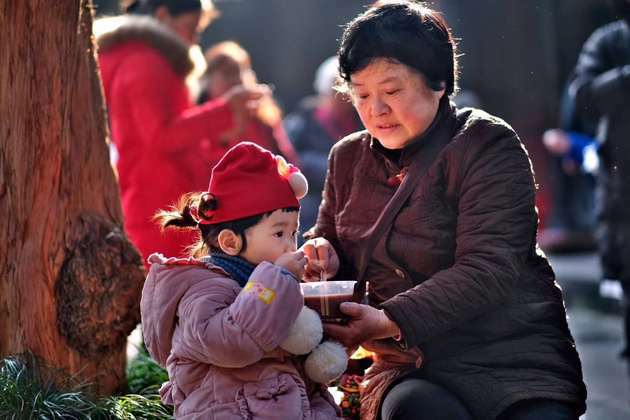 This year, about 300,000 bowls of Laba porridge were estimated to be given out with some provided in the Monastery and other in designated locations, such as community centers, nursing homes, orphanages and big corporates such as Tencent and Alibaba. The main ingredients of the Laba porridge are rice and sticky rice. People also add sugar, red dates, lotus seeds, walnuts, chestnuts, almonds, longans, hazelnuts, raisins, red beans, peanuts, water caltrops, roseleaf or other various ingredients to make the porridge special. "It's tasty and I want to save for my grandchildren. The workers rose up very early to make the porridge and I thank for their efforts," said an amateur photographer, looking at the porridge with a big smile on his face. "Yesterday I came here too and brought the blessings to a friend who is over ninety years old and has trouble moving around," said an old lady with her sister in company. Quite a few foreigners were also seen at the monastery with some are believers and some not. Two tourists from Japan who are on a three-day visit to Chengdu said that they dropped by the monastery accidentally but they liked the charitable event. According to the worker mentioned above, there are many volunteers who have served the Monastery for dozens of years without asking for a penny in return. The same spirit of sharing and caring for others embodied in the porridge handout warms the city in wintry days.